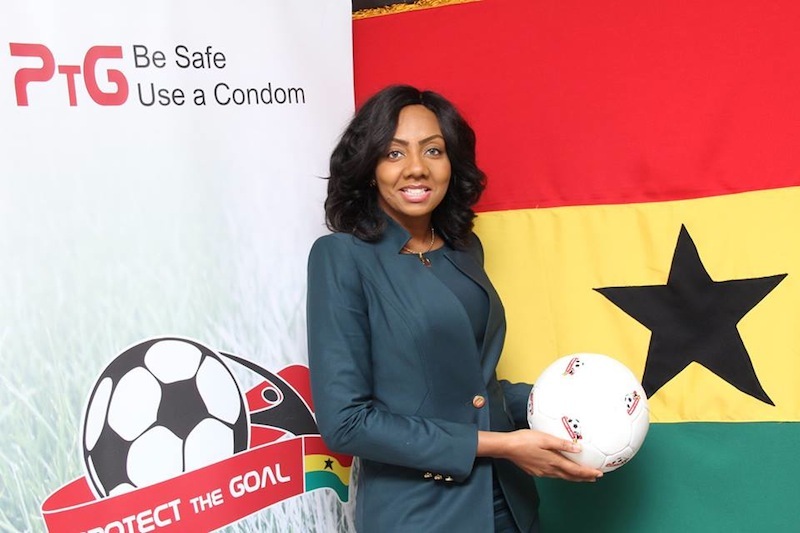 The reigning Miss Ghana, Giuseppina Baafi, has joined the list of known Ghanaian faces who have signed up to the UNAIDS’ ‘Protect the Goal’ campaign. Miss Baafi, who jointly performed the exercise with the Chairwoman of the Miss Ghana organization, Inna Maryam Patty, pledged her commitment to the campaign, at a short session in Accra. The PtG seeks to among other things, to ensure an HIV-AIDS free society. 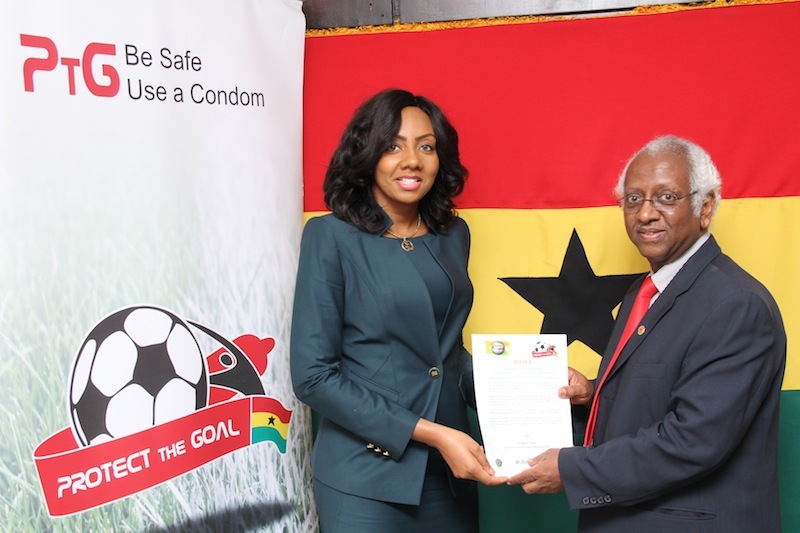 It is a joint campaign between UNAIDS and the world football governing body, FIFA, to advocate for the prevention of HIV infection through sports. 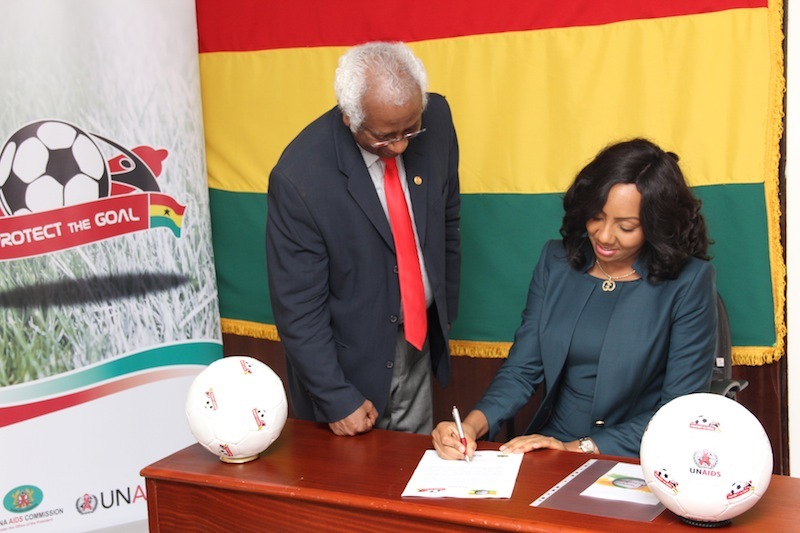 In Ghana, the campaign is being done jointly by the UNAIDS office, the Ghana Football Association, and the National Youth Authority. A successful campaign so far, it illustrates the power of protection and fosters HIV prevention and treatment in preparations for the 2014 World Cup in Brazil. 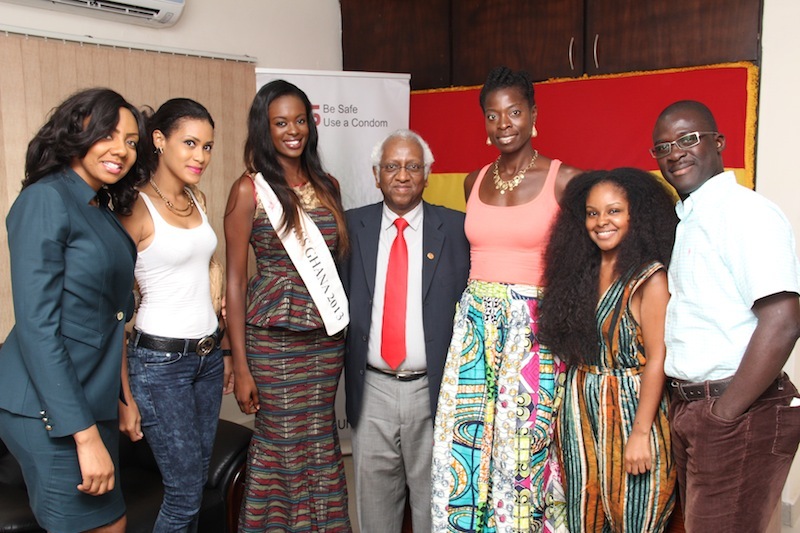 It also aims to raise awareness of HIV, mobilizing young people to commit to its prevention. This week would see the campaign’s ball, which is on a global tour, arrive in Ghana. 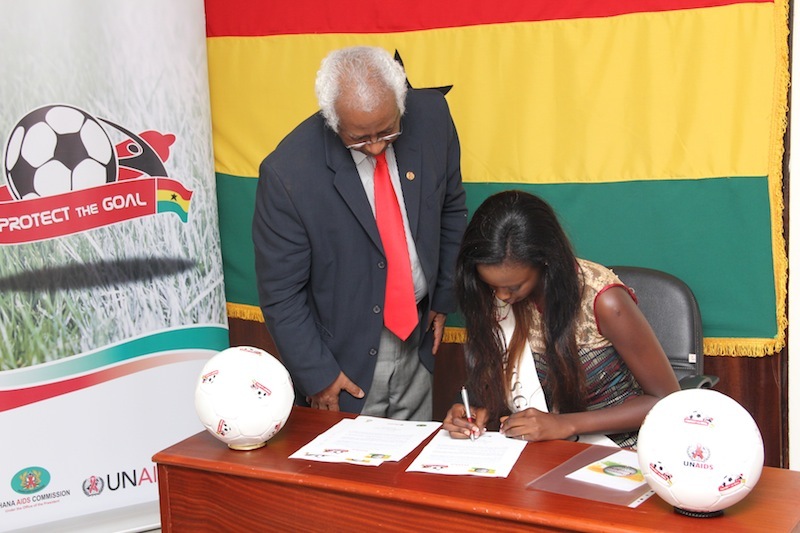 Miss Ghana 2013 Giuseppina Baafi signs up to ‘Protect the Goal’ campaign 0 out of 5 based on 0 ratings. 0 user reviews.